The old St Stephen’s Anglican Church at Quakers Hill was in existence since the 1920’s, linked at various times to larger nearby parishes such as Riverstone Anglican Church and Doonside Anglican Church.Quakers Hill became a separate entity in 1991 under the leadership of the Rev Stuart Robinson. 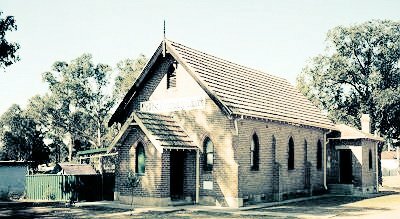 Services were initially held in St Stephen’s church a small brick church building located on Douglas Road Quakers HIll. As part of the Vision For Growth programme, the Anglican Church obtained a site located centrally to a huge new housing development. 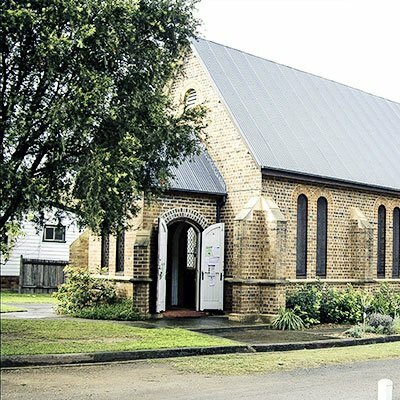 Services were held in a demountable building until the present worship centre was completed and opened in August 1993. 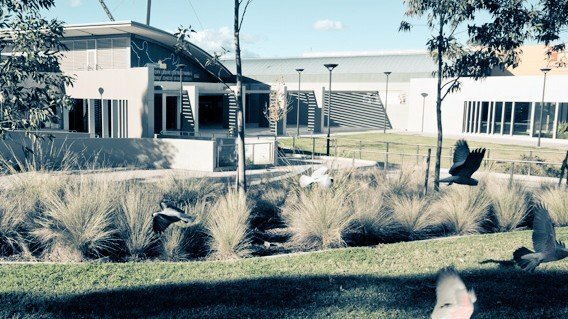 A building adjacent to the church provides extra space for meetings and a range of children’s activities.Quakers Hill Anglican Church has experimented with a number of strategies aimed at reaching people in the community and teaching them to follow Jesus. These have included services at various times during the week, and one held in a nearby school hall. As part of a new area, Quakers Hill Angican Church has seen a relatively high turnover of church members and ministry staff. The founding minister, Stuart Robinson, moved to a ministry position overseas at the end of 1997 and Rev Dane Courtney became the minister-in-charge during 1998. In recognition of the church’s programs and financial stability, its ‘Provisional’ status ceased and it was reclassified as a Parish from the beginning of 2002, allowing QHAC to take a full part in the life of the Diocese of Sydney. The church has become well known for the enthusiastic participation of its members, its contemporary style of services, and its willingness to try different ways of communicating the unchanging message of God’s grace in Jesus Christ. In 2009 a small church plant meeting in the Blacktown Leisure Centre at Stanhope Gardens was added to the network of churches under the leadership of Steve Reimer. The Church ventured into multicultural ministry at the beginning of 2009 with the formation of a South Sudanese service conducted in the dinka language and again in 2012 when the Filipino Anglican Church Sydney relocated to the Quakers Hill Centre. In 2012 the Anglican Diocese of Sydney purchased land in Stanhope Gardens to become the future home of the Stanhope Ministry Center. At the end of 2012, Riverstone Anglican Church joined the network of churches that was to become “Life Anglican Church” the following year. In 2017 Life Anglican Church planted in the developing suburb of Marsden Park under the leadership of Rev. Mark Collins. Mark Gathered a team from the combined Life Anglican Church congregations and surrounding areas and launch the church at Easter 2017. Also in 2017 Riverstone church was given new life under the Leadership of Rev. Daniel Walmsley. The struggling family congregation began a process of being replanted, a team was gathers and the church was relaunched Aug 27 2017. At the beginning of 2018 Stahope was established as it’s own parish, stepping out under the leadership of the Stanhope’s planting pastor Rev. Steve Reimer.